$200 savings ends June 14, 2019. 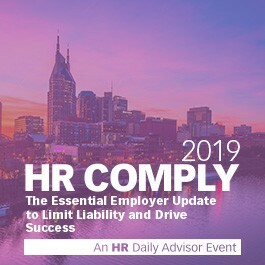 HR Comply, formerly Advanced Employment Issues Symposium (AEIS), is now in its 24th year and is still the nation’s leading human capital management conference for HR professionals, executives, and in-house counsel. The superior content and expert presenters will help you get ahead of workplace policy updates with a one-stop, all-bases-covered overview of breaking updates and proven best practices. Opening Keynote: To Be Announced! Ever since the rise of the #MeToo movement, workplace training to spot, correct, and outright abolish sexual harassment has been a hot topic. And today’s organizations aren’t just focused on delivering “traditional” antiharassment training. Progressive organizations are also examining whether their own culture could be perpetuating a sexist or bullying culture that could foster harassment in varied forms. But are HR’s current efforts proving effective? HR Comply’s Hot Topic Power Talks kick off with thought-provoking insights on how to tell. Stress can rear its ugly head on the workplace and result in unnecessary productivity, lost time, and safety risks. And an employer might find itself defending a claim for workers’ compensation or death benefits if workplace stress appears to be the predominant cause of a medical outcome, such as a heart attack or a stroke. But what can employers do to proactively combat the seemingly growing levels of work-related stress to provide a better, more wellness-centric workplace for all employees? This Hot Topic Power Talk will reveal cutting-edge strategies for reducing workers’ stress, which can, in turn, boost individual and organizational performance and foster a culture of wellness. Create an equitable and competitive compensation system to attract and retain the best employees, as well as the pros and cons of using a job grade system. Identify what job grades are and the characteristics that determine them. Evaluate whether you should create or revise a pay structure. Build a salary structure using various methods. Determine when to pay above market—and below—and how to ensure that your compensation practices don’t spark pay equity liability under the Equal Pay Act. Address questions about why you’re implementing a job grade structure. Use pay grades as part of your performance/merit pay programs and variable pay plans. Workplace investigations, audits, and arrests by Immigration and Customs Enforcement (ICE) are up significantly. Just how significantly? In 2017, worksite investigations rose more than 300 percent; I-9 audits were up 340 percent; and criminal arrests at worksites were up over 400 percent. As of January 2019, administrative worksite arrests were up close to 800 percent over 2017. This session, led by skilled immigration attorneys, will identify the biggest compliance risks organizations now face and how to avoid costly penalties for knowingly hiring or continuing to employ undocumented workers and which employment verification or Form I-9 documentation practices could yield the most costly fines for substantive/uncorrected technical violations. “Blackface.” Violent attacks on churches predominantly attended by various ethnic groups. Statements by government officials that those seeking to enter the United States through its southern border are violent offenders and drug dealers. These are just a few of the headlines of this past year—headlines that underscore the need to recognize and respond to overt and more hidden signs of racism that could be permeating the workplace. While overt stereotypes may be easy to spot and take action to correct, racism is often masked through more subtle actions, such as microaggressions. Day 2 of HR Comply kicks off with a thought-provoking look at why implicit bias training may not be enough to deal with this issue. Our keynote speaker will take a deep dive into how bias can manifest itself so you’ll have a better understanding of the types of policies to establish so you can eliminate the impact such biases have on your workplace. Recognize what records you must keep under federal law and for how long. Legally handle document security risks, storage, and destruction of personnel records in the cloud. How the EU’s GDPR may apply to personal data your organization collects and stores. Properly follow federal laws around retaining or destroying employee records and how to safely store employee records in the cloud or electronically. 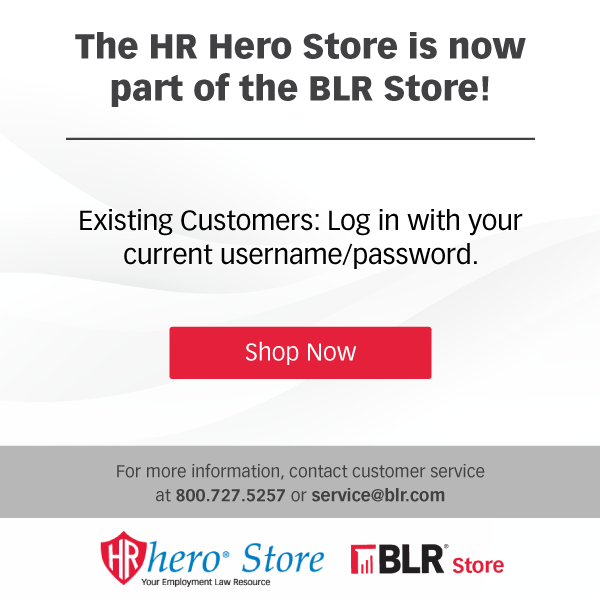 Devise a plan for going paperless with HR recordkeeping. Our skilled panel of employment attorneys is ready to address your specific concerns before you head home to implement the compliance best practices and strategic insights you’ve learned at HR Comply 2019!